PM's associate turned state witness reportedly told investigators he received explicit instructions to help 'Bezeq' communications company. In his testimony in the Bezeq affair, former Communications Ministry Director General Shlomo Filber incriminates the prime minister, Channel 2 reported. 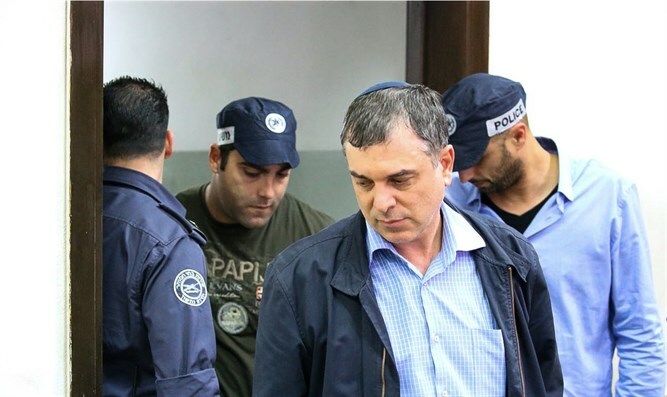 Shlomo Filber, the Director General of the Communications Ministry and a close associate of Prime Minister Binyamin Netanyahu, on Tuesday night signed a deal to turn state’s witness in the so-called “Case 4000”. In his testimony, Filber is expected to say that Netanyahu instructed him to grant regulatory benefits to the Bezeq communications company. Police suspect that in exchange for these benefits, chief Bezeq shareholder Shaul Elovitch provided sympathetic coverage to the prime minister and his wife on the Walla! news website, which he also owns. According to the agreement, Filber will incriminate Netanyahu in exchange for a light sentence. Filber himself, who was one of the seven people arrested this week in connection with the case, is suspected of taking bribes, disrupting interrogation procedures, and accepting something fraudulently. Legal officials believe that Filber's signing of such an agreement and a detailed testimony on his part could constitute a decisive step in proving the prime minister's involvement in the affair. The new report quotes Filber’s “associates,” who relate Filber's version of events to police investigators before he signed the agreement to turn state’s evidence. "I executed explicit instructions from Netanyahu,” Filber reportedly said. “It was not at all in my judgment, I received detailed instructions from him, and he made it clear to me who to worry about and how." "At first I believed that Bibi appreciated me and therefore had brought me to the job. Today I understand that they brought me to be a pawn in the game, that I was assigned to it, I was a prisoner. I sent Bezeq drafts of documents, they went over the drafts, wrote in corrections, and I executed. Today, I understand that they took advantage of me. I came to work faithfully. I found myself under intense pressure that caused me a great deal of distress, I did not initiate all this," Filber told his associates. At the same time, he expressed to his associates his appreciation for the prime minister. "I admire him, I think he's a huge leader, I'm sure Netanyahu is defending the people of Israel, I think he's a huge and irreplaceable leader, I admire Bibi, I think he's a genius, unparalleled." On Tuesday evening, Netanyahu released a new video responding to the reports on the latest developments in the investigations with which he is associated.